Amazing and totally adorable 12 pc. 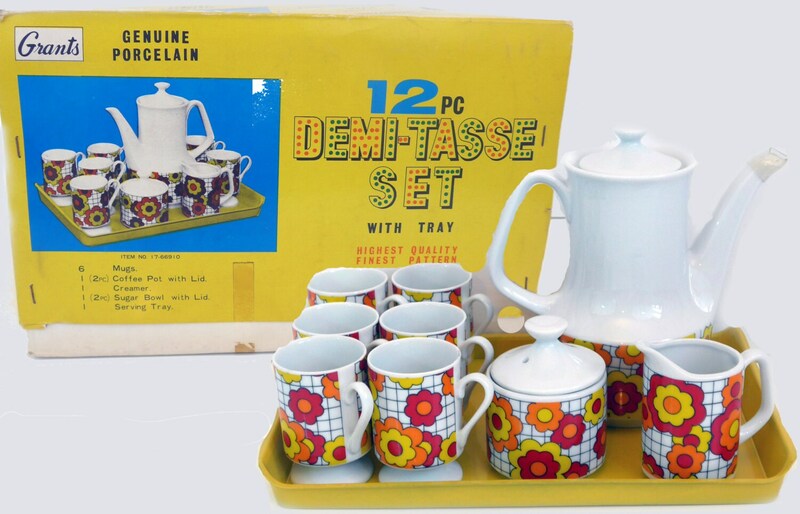 porcelain demitasse or espresso set that looks like it was never used. In a gift box from Grants, once a national department store that is no longer in business. Has EVERYTHING - Serving Tray, Coffee Pot w/lid, Sugar, Creamer w/lid, 6 cups. 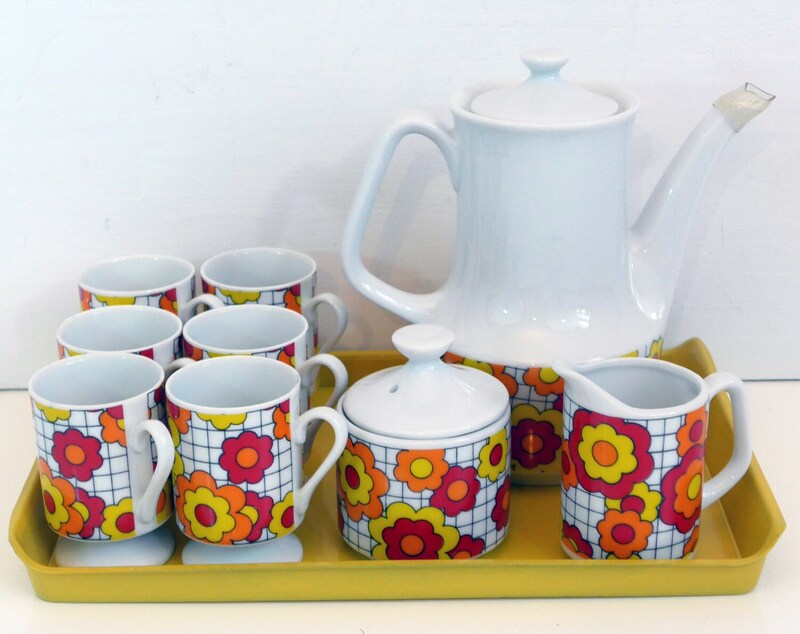 The cups are an adorable shape - sugar and creamer are also very mid century mod. 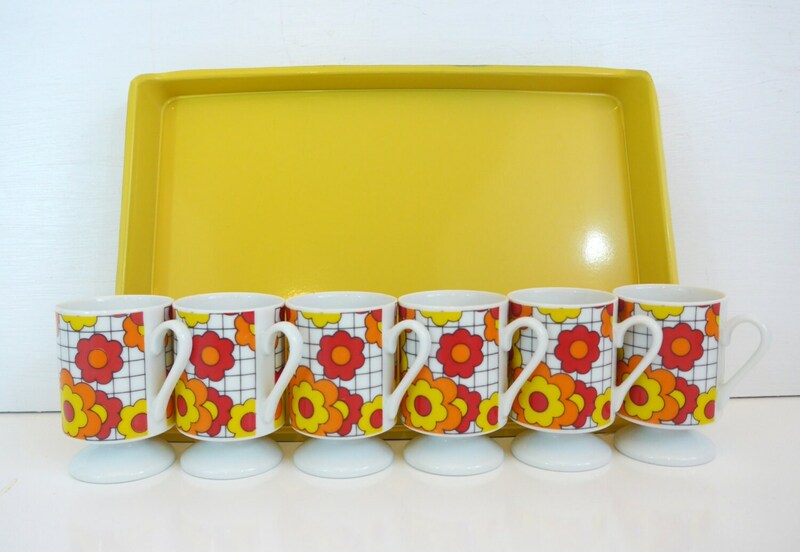 So groovy with red, orange and yellow 1970s flower power design. 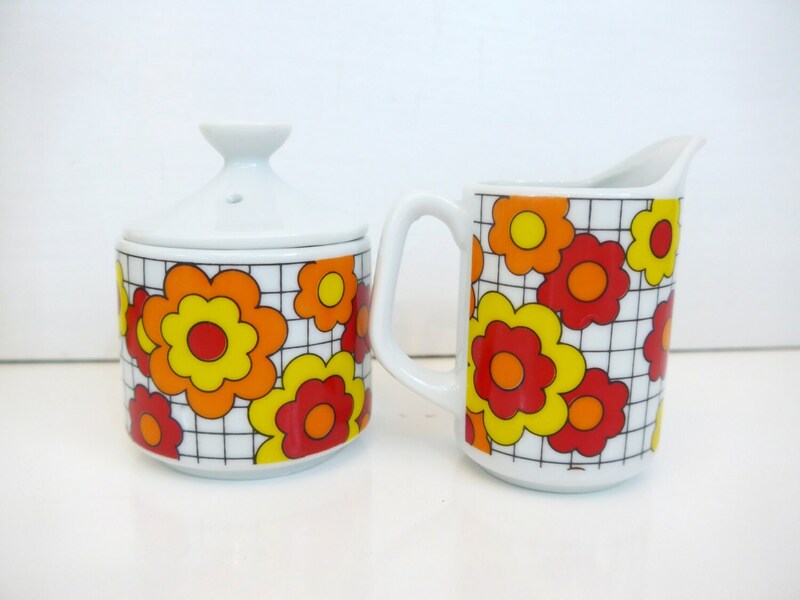 The pot, cups, sugar and creamer w/lids are porcelain. The tray is a solid yellow and is a plastic material. In excellent condition in original box. 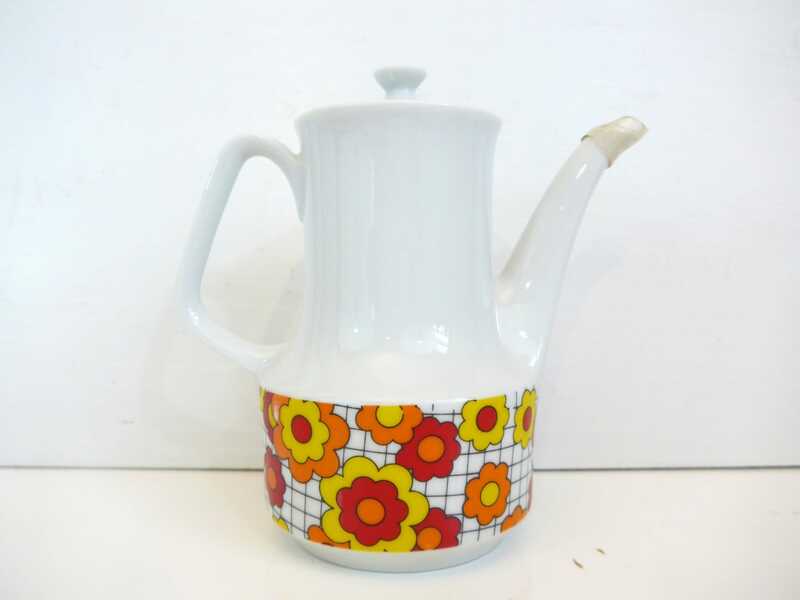 Pot has original plastic guard on the spout - I did not remove it for the photos. All in the original box from Grants. Most have the original stickers on the bottom. W. T. Grant or Grants was a United States-based chain of mass-merchandise stores founded by William Thomas Grant that operated from 1906 until 1976. The stores were generally of the variety store format located in downtowns.